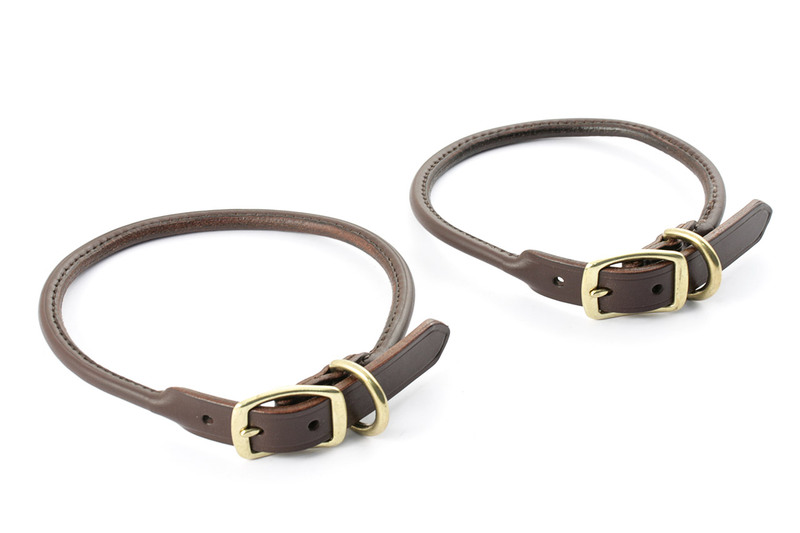 A couple of rolled dog collars made in burgundy leather with 3/4" solid brass fittings. They've been made on measure but approx. correspond to a size M.